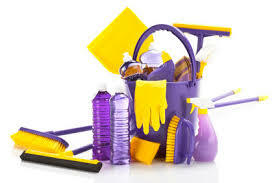 We use your cleaning materials to keep your house to the standard you require. Some customers like their cleaner to leave a note saying what they need or have run out of and they simply add it to their regular supermarket shopping. It is much more economic. Customers like the comfort of buying the cleaning materials they like, so their home can smell and feel exactly how they want it to be.